Richard Sparks is a conductor with a wide range of experience in both the academic and professional fields. His BM and MM degrees are from the University of Washington, where he studied with Rodney Eichenberger as an undergraduate and Abraham Kaplan for his MM. His DMA is from the University of Cincinnati College-Conservatory of Music (CCM), where he studied choral conducting with Earl Rivers, Elmer Thomas, and John Leman, and orchestra conducting with Teri Murai. His doctoral dissertation on Swedish a cappella choral music won ACDA’s Julius Herford Award and was later published as The Swedish Choral Miracle. Sparks founded Seattle Pro Musica when he was twenty-three and in the next seven years conducted over seventy concerts with three ensembles. By the time he was thirty, he had conducted all the major works of Bach, including almost fifty of his cantatas; orchestral and choral/orchestral masterworks by Haydn, Mozart, and Beethoven; and many other works from all periods. And from 1978 to 1985 he was Principal Conductor of the Pacific Northwest Bach Festival in Spokane, Washington, which used period instruments. Sparks taught from 1980 to 1983 at Mount Holyoke College in Massachusetts and then became Director of Choral Activities at Pacific Lutheran University (PLU), where he taught until 2001. During his tenure at PLU he led the Choir of the West, also conducting major works ranging from Bach’s Mass in B Minor and St. John Passion to Poulenc’s Gloria, Stravinsky’s Les Noces, and Britten’s War Requiem. During this period he also conducted the Seattle Symphony Chorale (1990–1994), preparing them for nine recordings on the Delos label. 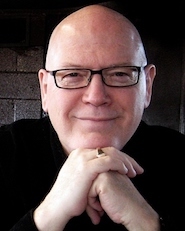 He also founded Choral Arts Northwest (1993–2006) and with them explored primarily a cappella repertoire, making three CDs on the Loft/Gothic label. And from 1999 to 2011 Sparks was Artistic Director of Pro Coro Canada, a professional chamber choir in Edmonton, Alberta. From 2009 to 2019 he was Professor of Music at the University of North Texas, where he conducted two ensembles and was Chair of the Division of Conducting & Ensembles. Many of his performances can be found on YouTube, including a Vivaldi Gloria performance with over two million views, Monteverdi’s 1610 Vespers, and the 1725 version of the St. John Passion. The Collegium Singers performed at the Boston Early Music Festival three times, once at the Berkley Early Music Festival, and at the 2016 NCCO Conference. Sparks worked with the Swedish Radio Choir in 2002, 2007, and 2008. He has also guest conducted the Santa Fe Desert Chorale, Vocal Arts Ensemble of Cincinnati, and the Anchorage Music Festival (for three years, the first time substituting for Robert Shaw with the Brahms Requiem), among many others. He’s also a frequent clinician and workshop leader.